DPS created the Nina 99 Pure as their most lightweight and versatile women’s ski. They call it a “Daily Driver, redefined.” Made with pure carbon laminates and nanotech resins, the Nina 99 is insanely light. 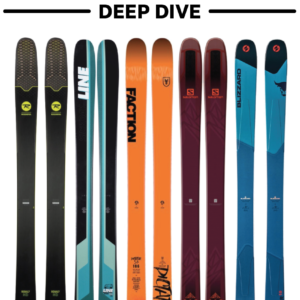 DPS also utilizes Paddle Tech Geometry, their unique combination of rocker and variable sidecut, to assist with the ski’s versatility. Jonathan Ellsworth and Jason Hutchins both reviewed the DPS Wailer 99, the Nina 99’s male counterpart. 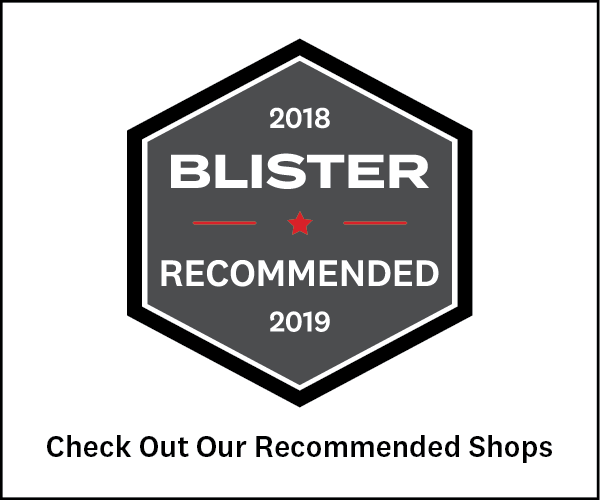 The Nina and the Wailer 99 share the same construction, the Nina is simply offered in a different color option, shorter lengths, and has a factory recommended mounting location that’s slightly farther forward. While Jonathan covered the Wailer’s performance on groomers, Jason tested them in consistent hard pack and powder. I had a chance to test the Nina 99 in these conditions and more. For being only 99 millimeters underfoot, I was impressed by how well the Nina 99 floated in powder. They stayed on the surface through deep, blower powder and thicker, creamy snow, thanks in large part to their shape. The Nina 99 was also playful and turny in these conditions, which is where DPS’s Paddle Tech Geometry comes into play. 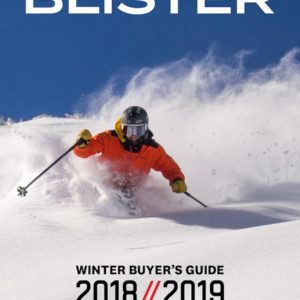 The tips are very tapered, and the widest part of the ski is farther back than on a traditional shaped ski; the rocker profile is abrupt and starts a little before the widest part of the ski in both the tips and tails. The theory behind this shape is that it allows the skier to engage the cambered, underfoot turn radius (about 18 meters) in hardpack, while substantially varying the amount of sidecut in variable or soft snow. 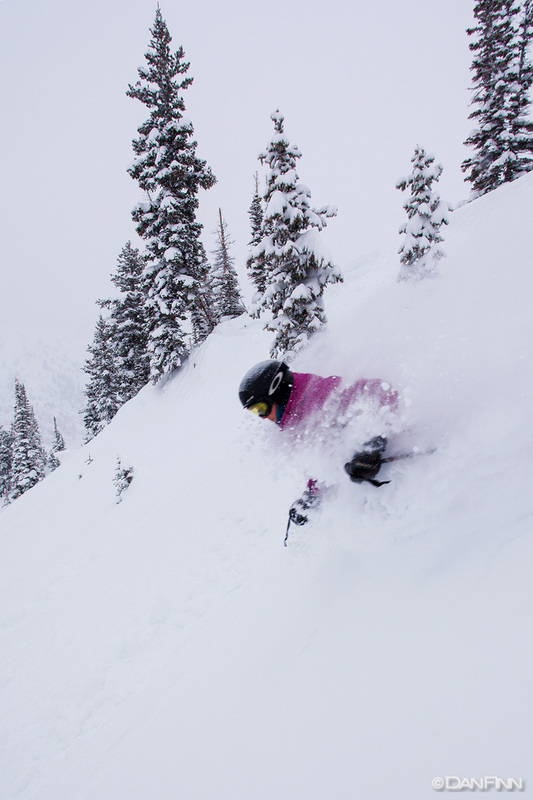 Stella Selden on the DPS Nina 99, Alta Ski Area. In powder, the portion of the rockered tip that extends beyond the widest part of the ski will contact the snow, assisting with flotation. 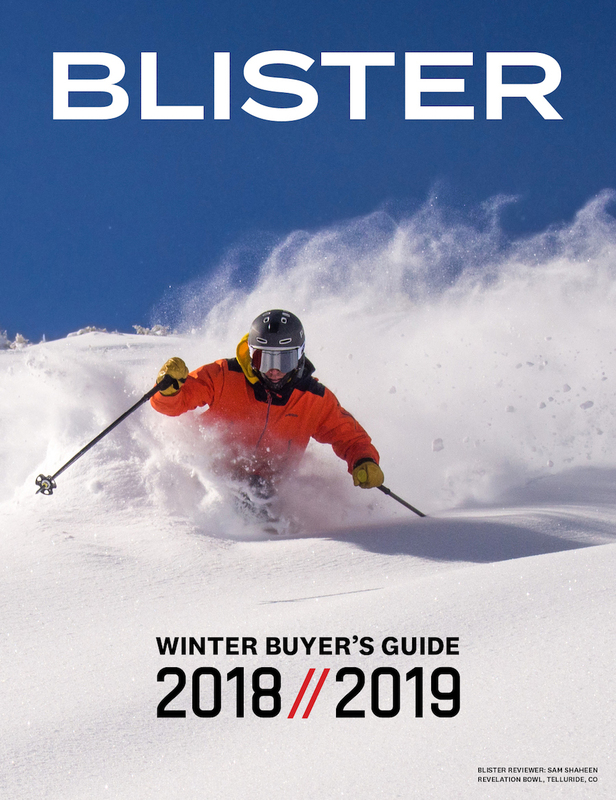 In addition, the combination of rocker plus the widest part of the ski being farther back allows the ski not to lose its maneuverability while the tip is in contact with the snow. This design contributes to the playfulness of the ski by making it turn and smear through powder with super variable turn radii depending on how much of the tip is engaged. This can be awesome in consistent pow, starting out in a large arcing turn and then cranking it into a small, slashy turn. The variability in turn radii described above was awesome in soft and consistent snow. As soon as the snow varied in depth and density, however, the turning behavior of the Nina 99 became just as variable, especially when trying to charge through the chop. The Nina 99 performs much better from a more neutral and relaxed stance. For example, charging through Eagle’s Nest in six inches of chop, when I was on the firmer snow in other people’s tracks, I felt like I was on a ski with a turn radius in the mid-teens. The second the Nina 99 came in contact with softer piles of chop between people’s tracks, my tips would catch, and it instantly felt like the turn radius had halved. A half a second later, I would contact snow with a slightly lower density, and the tips would disengage again back to a larger turn radius. The amount of contact the tips would have with each pile of chop was so unpredictable that I was constantly trying to find my balance. The tips would catch and release spontaneously, leaving me feeling quite unstable. But once I stopped pushing my speed and slowed down, I found the skis to be much more manageable through the chop. By concentrating on slower, smeary turns, I engaged the edge less, and the skis became more predictable. By concentrating less on speed and more on the Nina 99’s light weight and maneuverability, I was able to make easy and smooth, smeary turns. 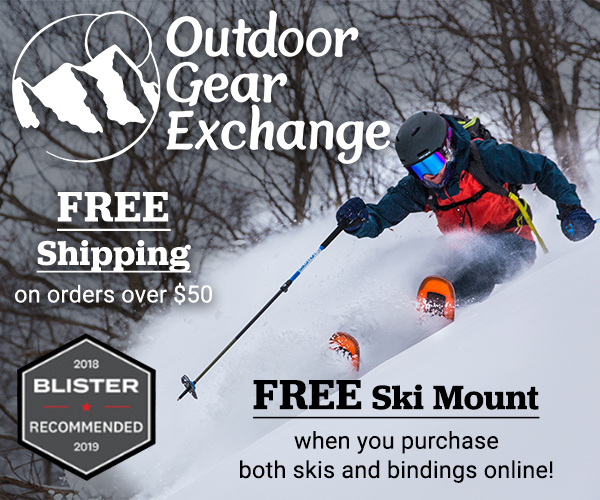 A quick comparison: For the past month, I have been skiing on the Nina 99 and the 174cm Rossignol Sickle (see Jason Hutchins’ review of the Rossignol Sickle). Granted, the 174cm Sickle is a little longer than the Nina (though the actual length of the Sickle is 170.5cm, so only 2 centimeters), and a little wider than the Nina (the 174cm Sickle is 106mm underfoot), but the main difference I have noticed in chopped-up snow is how consistent the Sickle is compared to the Nina. The Sickle has continuous rocker, and there is very little splay on either end. So as the Sickle comes in contact with variable snow, the amount of ski engaging at any given moment changes very subtly. 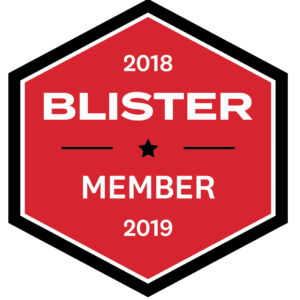 With a larger splay at the tips and tails, and the widest part of the ski being farther back, the Nina 99 transitions through variable snow more abruptly. Great review! I’ve had very similar experiences and opinions about the Wailer 99s. They love consistent snow and have become my favorite backcountry rig because of that trait and their light weight. I have owned 2 pairs of the Wailers, one from the 11/12 batch and one from the 12/13 batch. They changed the top sheet material for 12/13 and so far it has been a huge improvement, especially since it eliminated the splintering problem for me. Last year I spent a few uncomfortable moments in the middle of a couple long tours digging 1/4 inch long carbon splinters out my my palm with a pocket knife, but not this season thankfully. What model year were giving you splinters? Thanks for the great review… totally applicable to both the Ninas and the Wailers of course. agree with moving the boot forward. slight downside is it makes it a little easier to catch an edge, upside is it turns faster and less chatter on groomers.